Scissors should be the last thing you reach for when you need to extract gum from hair. 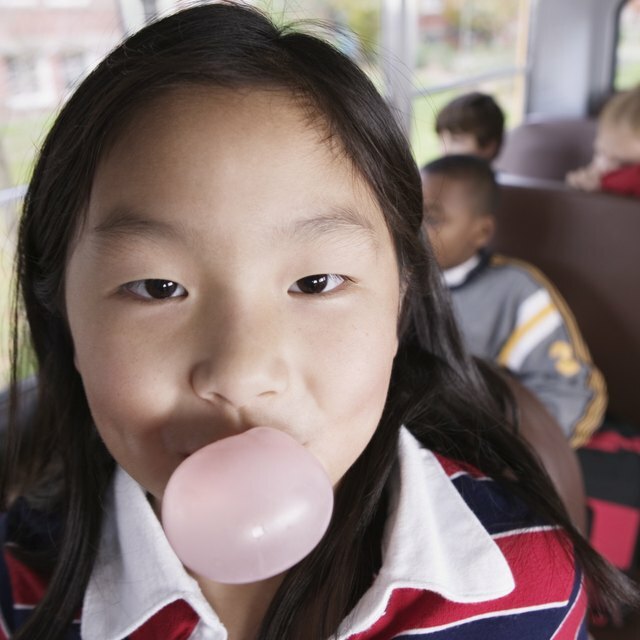 Life is busy, and you probably don’t spend much time thinking about gum -- until it ends up in your hair, your child’s hair or your dog’s hair. It is much easier to get gum where it doesn’t belong than it is to remove it from these places. Several household substances can remove gum so you can get it out without giving anybody a haircut. The solvents in citrus peel extracts and lighter fluid are both excellent for breaking down and softening chewing gum so you can remove it from hair. Mineral oil, cooking oils and peanut butter also work, and it may be best to try them before lighter fluid, especially on children’s hair and pet’s fur. To remove gum, choose your solvent of choice, then rub a small amount of the oil, extract, lighter fluid or peanut butter into the gum and allow it to sit for a few seconds. Use a comb to work the softened gum out of the hair gradually. When it is out, wash the hair with soap or shampoo and water to remove the remaining solvent residue. International Chewing Gum Association: How Can I Best Get Gum Unstuck if It Ends Up Where It Doesn't Belong?